Welcome in Wordblobs Daily Answers section of this website. We have posted here all the solutions of Word Blobs game. 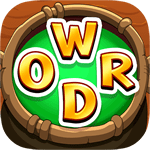 This is one of the best word games on the play store and app store. You can play this game with IOS and Android devices, mobile phone or tablet. WordBlobs has a daily puzzlwe section and we are posting here the answers day after day. Soon we will have all 356 daily answers of this game. Please write a comment below if any of the answers is wrong. I will be more than happy to assist and help you find the correct answers. If you need other daily answers check here main page for Wordblobs Daily Answers.